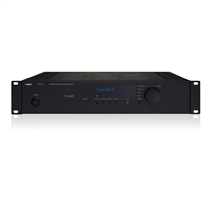 For a long time, installers worldwide have been unhappy with consumer electronics and they were looking for a professional integrated amplifier for use in commercial environments, boardrooms or small businesses designed for 24/7 operation. Therefore Apart developed the CONCEPT1, a stereo or two mono channel (2 x 80 watts @ 4 ohms) amplifier for small and medium-sized projects. 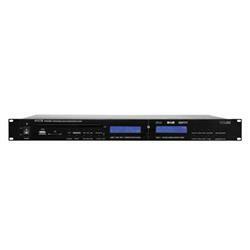 This CONCEPT1 2-zone integrated stereo amplifier can operate with one stereo zone, two volume-linked mono zones or two individual-volume mono zones. 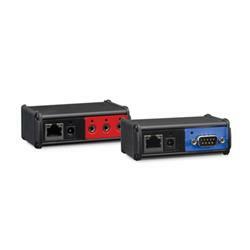 The unit can be controlled via RS232 what makes integration into your AV solution possible. The built-in limiters and system design guarantee a failsafe solution 24 hours a day, 7 days a week. To make the life of the end-user as easy as can be, the CONCEPT1 has user settings and installer settings. Only the absolute necessary features like volume, tone control and source selection can be adjusted by the end-user. The other advanced settings (operation mode settings, maximum music and mic volume, gain input adjustment, automatic loudness on/off, paging on/off per zone) can be configured and secured by the installer. What comes in… comes out! 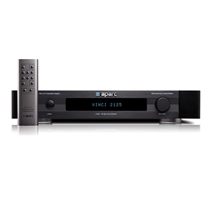 The VINCI2125 is a stylish high fidelity music control center in a slim package. Combined with the VINCI4, VINCI5 or VINCI7 loudspeakers your home will immediately look and sound like a concert hall. When playing a live concert CD, you will be feeling like your favourite artist is performing live at your home! Just sit down… and relax! Its minimalistic design with just 2 buttons makes the unit extremely easy to use. Switch the unit on or off, choose your sound source and control the volume… nothing more and nothing less. Compare the VINCI2125 with a big bulky esoteric wellknown amplifier, and you will be amazed by the natural, controlled and spacious ability of VINCI2125 in this comparison set-up. This high class integrated amplifier has 4 digital stereo inputs, 3 analogue stereo inputs and 1 high class phono (cartridge) input. 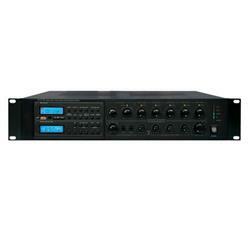 The rated output power per channel is 80 watts @ 8 ohms or even 125 watts @ 4 ohms, but its dynamic power is much more! A nice feature of VINCI2125 is the ‘fade-in after restart’ function. This feature slowly increases the volume range after you switch on, limiting the volume to +20 dB, or the previous level, whichever is lower. The fully aluminium infrared remote control of the VINCI2125 has a DIM-function to adjust the brightness of the VFD display (vacuum fluorescent display) in 5 steps. If the blue lights are a bit too bright for you, just reduce the light with a quick push on the remote control. To make our VINCI series complete, Apart also developed the VINCI4 & VINCI5 bookshelf speakers and the VINCI7 high-end hi-fi loudspeakers.